One thing is for sure, if there is a way for water to get in your RV it will find it. Water leaks on an RV can cause extensive damage and can be extremely costly to repair. To protect your investment and your wallet you need to take the time to REALLY inspect for water leaks. The outside of your RV may look fine but the internal damage caused by water over a period of time can result in the entire roof, floor or wall rotting away without you even knowing it, until it’s too late. You should inspect your RV for water leaks twice a year at a minimum, and especially prior to storage if it will be stored outside. Here are a few things to look for during your routine inspections. * To stop a leak before it starts thoroughly inspect all roof and body seams. Reseal any seams or sealants that show signs of cracking or separation. 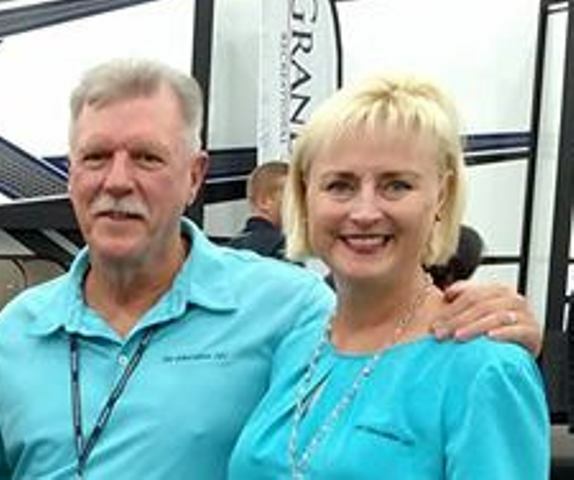 Consult your RV dealer for sealants compatible with different types of materials. * Look for any discoloration, and feel for any soft spots on the ceiling around roof vents, air conditioners, TV antennas, plumbing vents, and any other openings that were cut in the roof. Soft spots are an indication that water damage has already started. Find the source of the leak and have it repaired immediately. * Look for any discoloration or wrinkles in the wallpaper, and feel for any soft spots on the walls around all windows, doors, slide outs, or any other openings that were cut in the side walls. * Identify the location of items like the water heater, furnace, outside shower, potable water fill and city water inlet on the outside of the RV and then access those areas from the inside of the RV. Look for any indications of water damage around these openings. * Open all overhead cabinets and look in the top corner where the walls meet the ceiling for any discoloration and feel for any soft spots. This would indicate a leak at the seam where the sidewall and the roof attach. * Check in all outside storage compartments for any indications of water leaks or water damage. * Check for any soft spots on the roof itself especially around the roof seams at the front and rear of the RV. Thoroughly inspect all sealants on the roof around every opening. Caution: Be extremely careful when working on the roof of your RV, a fall can cause serious injuries, or be fatal. Not all roofs are designed to be walked on. It may be necessary to use 2X4 foot sections of 1/2″ plywood to distribute your weight over the roof rafters. * Some Class C motor homes are notorious for leaks in the cab over bed area. Look for any signs of discoloration and feel for soft spots. Remove the mattress and feel for water. * If your RV has fiberglass sidewalls look and feel the outside walls for any signs of delamination. Delamination is caused by water getting between the exterior fiberglass and the sidewall. When this happens the exterior fiberglass separates from the sidewall of the RV. You can stand at the front or rear of the RV and look down the side for any noticeable ripples or what looks like a bubble. You can also press on the sidewalls. If you feel the exterior fiberglass move it is delaminating. Many times delamination starts where an opening was cut in the sidewall of the RV. Have any noticeable damage repaired immediately! 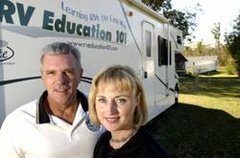 The key to preventing water damage on your RV is to perform these inspections on a routine basis and to discover and repair any leaks while in the early stages. If you don’t feel comfortable performing these inspections have an authorized service center do it for you.